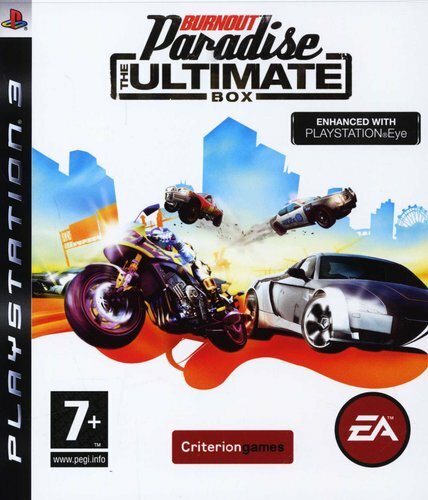 Paradise delivers an open-world environment built for intense speed, excitement and exploration and sets a new standard for gameplay. From big-surf beach, to downtown gridlock, there's over 30 square kilometers of the ultimate driving playground to explore from the get-go. Nothing is blocked off. 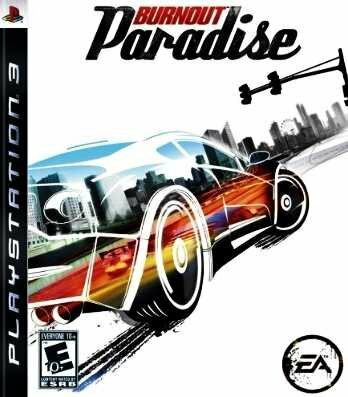 Just pull up to over 120 stoplights and spin your wheels to start one of five different events - the classic Race, Road Rage and Burning Route, and the all-new Stunt Run and Marked Man games. 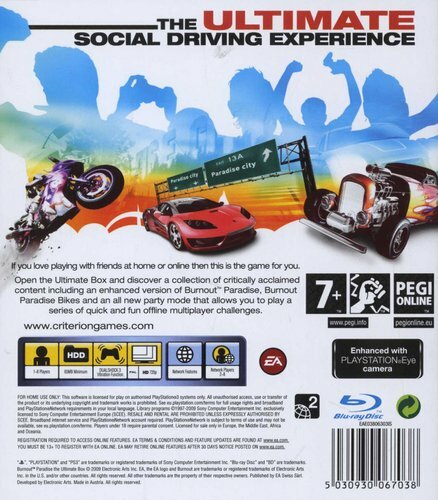 Burnout Paradise sets the new standard in online social gameplay. See your friends online with the EasyDrive Friends List and connect with them instantly without having to wait or exit your game. Join forces with up to seven of your buddies to beat hundreds of online FreeBurn Challenges together or heat up the competition and go head-to-head in user created race routes. Make and break the rules of each road by setting speed and destruction records all over town. Track how many you own against your friends!